Primary Characters: Clementine & Sam – a cellist who fears auditions and her husband who adores being a dad. They have two daughters, Holly who is five and Ruby who is two. Erika & Oliver – married accountants that have in common the very rough childhoods each had. Tiffany & Vid – a colorful, larger-than-life couple. They host the barbecue, and want nothing more than for their guests to enjoy themselves. Their daughter, Dakota, is ten. 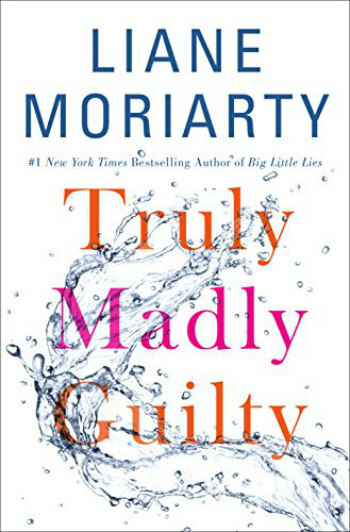 Review/Synopsis: Like many other readers, I have been looking forward to the release of Liane Moriarty’s newest novel, Truly Madly Guilty because I so enjoyed her books Big Little Lies and The Husband’s Secret. This newest book has much in common with the others. In each there are a group of characters all of whom are involved in some sort of event that we know happened but we don’t know exactly what it is or how it happened. As the stories unfold and we come to know the characters, as we get closer and closer to uncovering the mystery. Truly Madly Guilty takes place around three couples attending an impromptu barbecue. The hosts are Vid and Tiffany who live in a large over-the-top house, with their daughter, Dakota. They both have big, confident personalities and somewhat colorful pasts. Attending the barbecue are next-door-neighbors, Oliver and Erika, and their friends, Sam and Clementine and their two young daughters. 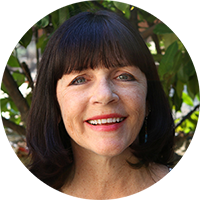 Erika and Clementine have known each other most of their lives, but their friendship was originally orchestrated by Clementine’s mom and is still strained because of that. Clementine is a cellist preparing for the biggest audition of her life and Sam has worked for different businesses along the way. They have a happy, messy life with their daughters, Holly and Ruby. Erika and Oliver are happily OCD together. They both had parents who were less than ideal; her mom was a hoarder and his parents were alcoholics. They appreciate the order and tranquility of their lives. Oliver and Erika hadn’t planned on the barbecue, instead they had asked Sam and Clementine to join them for tea, but Vid convinced a reluctant Erika to make it more of a party at his house. From that point on the story is set on a trajectory where all things revolve around what happened at the barbecue. For a long time the reader doesn’t know what exactly that is, only that it is not good and has far reaching consequences for everyone who was there.